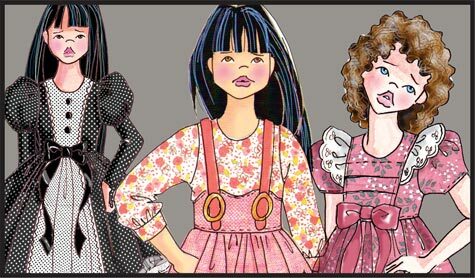 The Adams-Harris Pattern Company is dedicated to producing up to date doll clothes patterns for BJD and fashion dolls. Patterns are listed by the doll they were fitted on but may fit other dolls. Leeann patterns fit some Tiny's. I don't recommend MSD patterns for Ellowyne in less you are an experienced stitcher who can make alterations. The MSD Patterns seem to fit many dolls. I have tried to show other dolls in the same garments. My patterns may be used to create OOAK clothing for resale or personal use, all other rights are reserved.